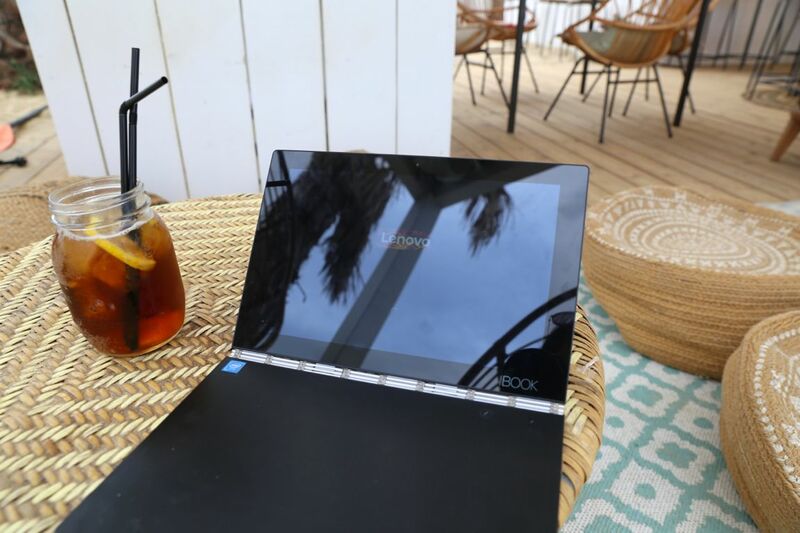 As some of you often ask me about my travel equipment some of you have noticed on instagram and in my instastories already that throughout the last 6 months wherever I travelled I always took my Lenovo Yoga Book with me. I am one of these people who don’t like to carry heavy handbags so I Iove how handy and light the Yoga Book feels weighing only 600 gram, which makes it great to carry it around and it developed into my favorite tablet to travel with. With its 25×17 mm format it has the perfect size to fit into every hand luggage and even in my hand bag. As the battery lasts 13 hours I often take the Lenovo Yoga Book with me on the plane to prepare blog articles. And please don’t forget the music. 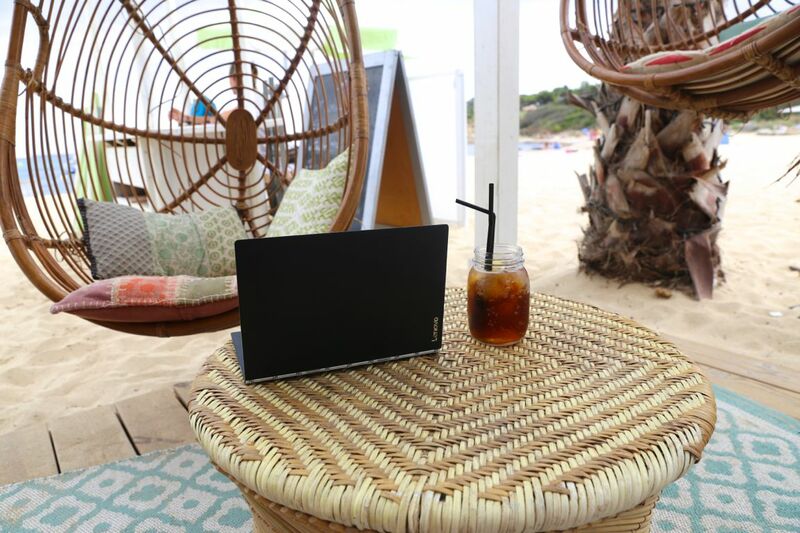 Nothing without youtube and my favorite sounds on the beach, especially in paradise. 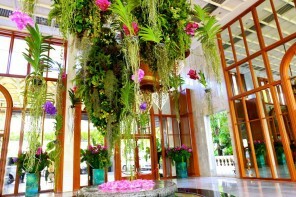 I mean what would paradise be without the matching music ? So I use my Yoga Book all the time on travels and love it. 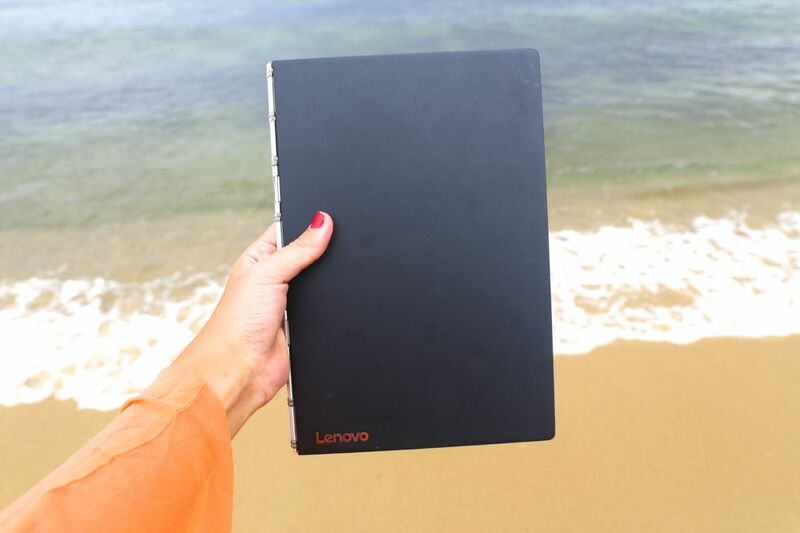 No I am not saying this because its advertisement I really do love my Yoga Book as its perfect for all travelers. And even at home my boyfriend plays with it all the time as its much easier to grab and use than other tablets. My favorite feature about this tablet is that its designed in the way that no sand can get in which is a big plus on travels. The display of the tablet is very reflective meaning people sitting next to you wont be sure if the screen is on or off. 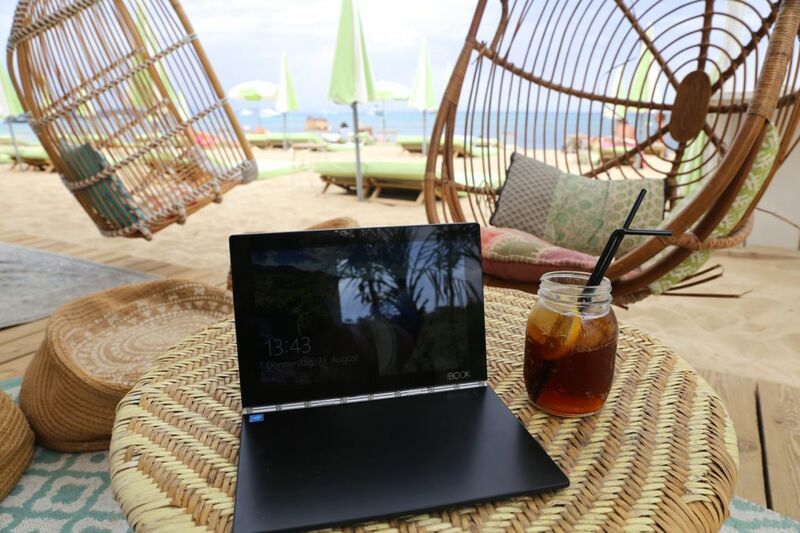 So very often I am lying on the beach checking emails and looking up flights to the next destination which works very easy with the touch screen of the 2 in one yoga book tablet. For all creative ones the extra special is that the yoga book also comes with an inked pen so you can draw like on paper or take notes the regular way with having them electronically directly at the same. The halo keyboard lightens up in the dark automatically when you use it which is a big advantage compared to other tablets. 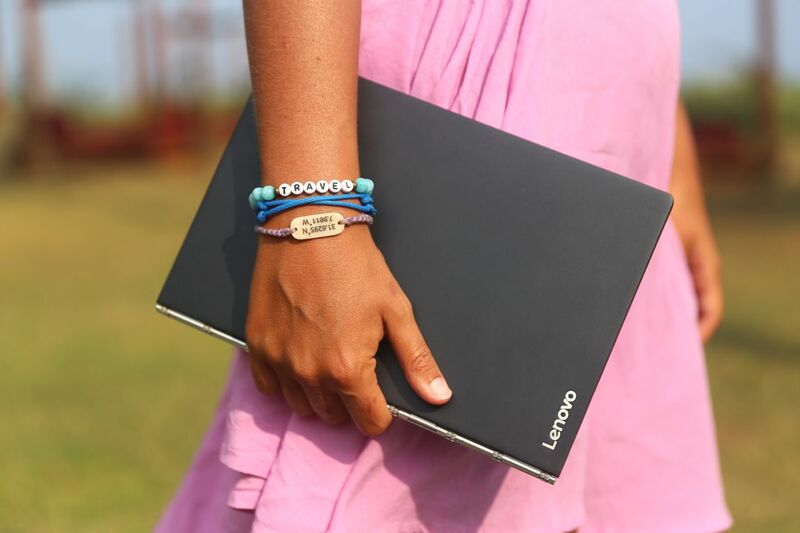 I love new technology trends that make life on the go and traveling easier and the Lenovo Yoga Book has def become one of my favorites on travels throughout the last month. What equipment do you guys always have to have with you on travels ? I mean besides phone and cameras of course 🙂 ?